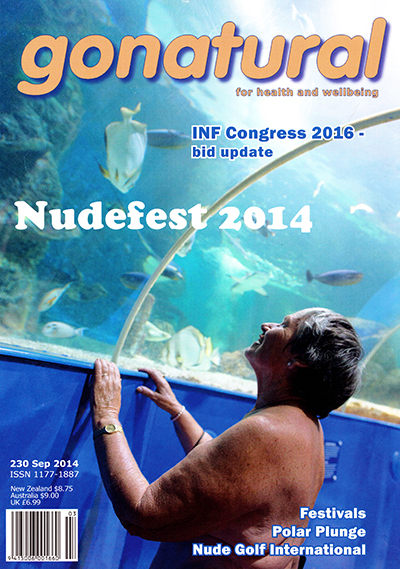 The official magazine of the New Zealand naturist federation, published in September 2014. H&E has been in existence in various forms since 1902, according to recent research by the editor. 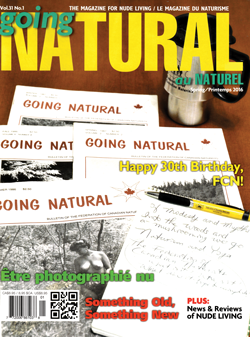 It is the oldest naturist magazine in the world, and is the leading monthly title aimed at naturists and all those who enjoy any aspects of their lifestyle without the restrictions of clothing. H&E originally stood for “health and efficiency”, the theory being that continued exposure to the sun and air, in combination with a good diet and regular exercise, was beneficial to health and made the body work more efficiently. Nowadays, naturism is more of a lifestyle choice with much less importance placed on the perfect body image – and more emphasis on travel, sunbathing, naked activities and, most of all, fun.